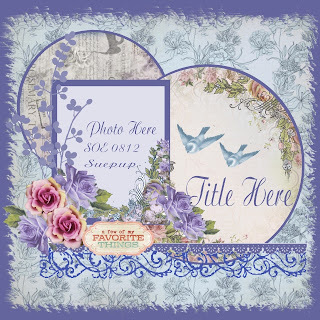 This month's kit called "Summer Haven" here at Scraps of Elegance is so pretty. This is the only layout I was able to get out for reveal day. I just got back from vacation on Thursday and opened the beautiful kit and was ready to spend 3 whole days just scrapping, but I got another horrible migraine headache, so I will be revealing several more projects once this headache is gone. This is my take on the beautiful August sketch by our ever talented SuePup. For this layout I used the beautiful Kaisercraft "The Lake House Collection" of papers and the gorgeous Fabscraps "Organic Herbs Collection". I also used the awesome butterflies by Reneabouquets from the kit, they match the papers just beautifully. 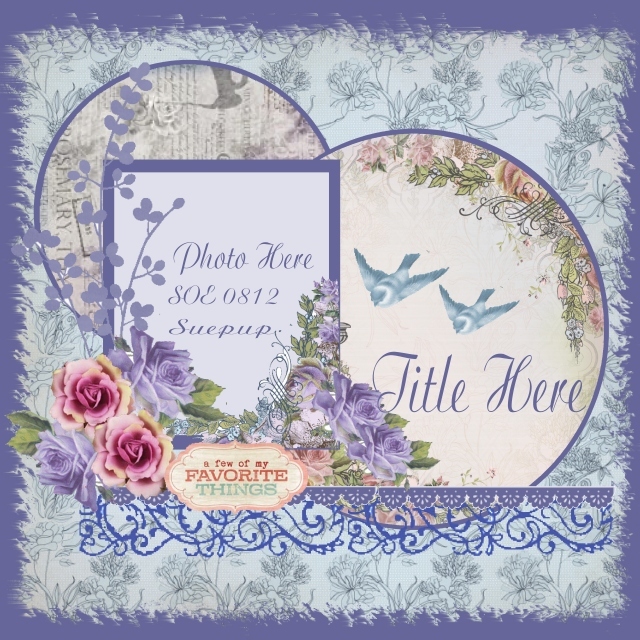 Everything on this layout is from the August kit except for the purple roses, they are from I Am Roses. 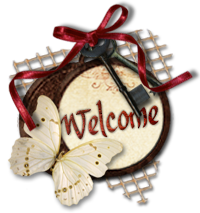 Hope you get back to 100% recovery....Love that sketch and your layout is beautiful!